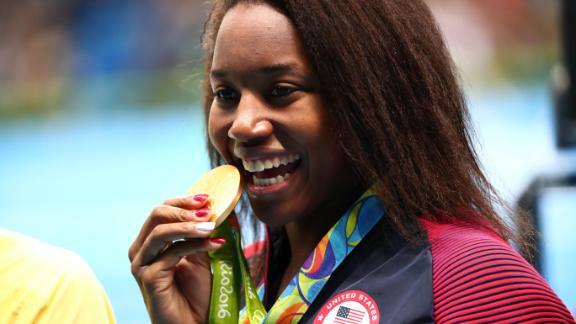 HOUSTON (KTRK) -- When Sugar Land's Simone Manuel won Olympic gold, even she looked surprised. The 20-year-old set a new Olympic record and became the first African-American woman to medal in an individual swimming event. What better place than one of the most diverse areas in the country to get her start? 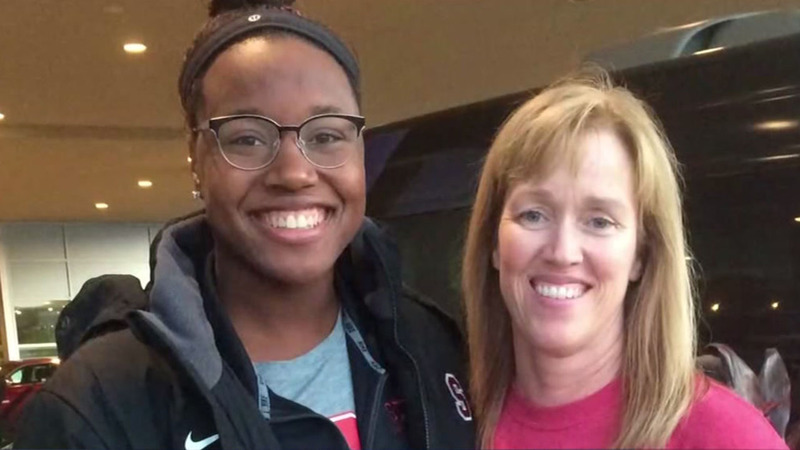 "I was her very first swim teacher," said Tracy Lamon. "Her older brother was part of our summer swim team and mom said 'Well, if I'm going to be here anyway, she might as well take some lessons.'" Manuel was just three years old at the time. Simone Manuel made history Thursday, tying for first in the women's 100-meter freestyle to become the first female African-American gold medalist in an individual swimming event. "She was a natural," Lamon explained. "About the fifth day, I was working with her on something different than the other students and her mom thought it was because she was in trouble. "I said 'no, no, she was doing great. She's just ready to swim.'" Manuel went on to swim with the First Colony Swim Team in Sugar Land and now swims for Stanford University. She still keeps in touch with her first coach, even inviting her to this year's Olympic trials in Omaha. "I told her where I was sitting, so when she got up to show that she had qualified for the team she pointed over at me and went like this," explained Lamon, while waving excitedly. "I was like, 'I'll take it!'"